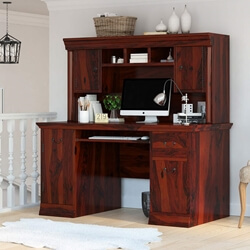 It is said that most people spend one-third of their time in bed, but many of us spend another third of our time behind a desk. 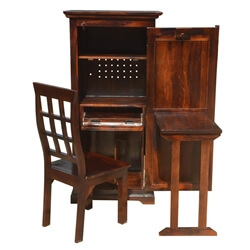 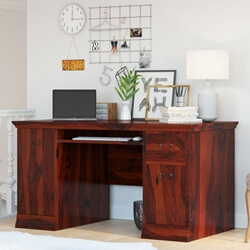 If you’re a ‘desk person’ choose a handcrafted solid hardwood bureau that reflects your spirit and meets your needs. 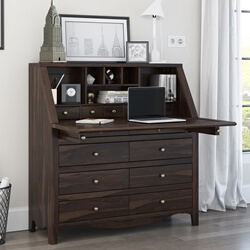 Sierra Living Concepts offers over 50+ styles so you can settle in and get right to work. 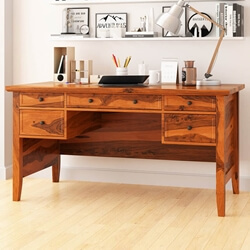 Each work center or writing table is built with solid wood; we never use veneers, pressboard, or plywood. 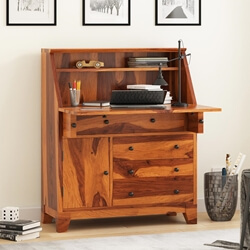 Our furniture is built by skilled craftsmen, many coming from multi-generational furniture building families. 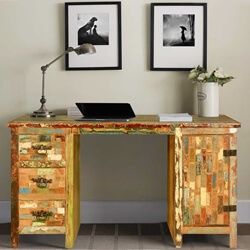 Each piece is meticulously made with special attention to details. 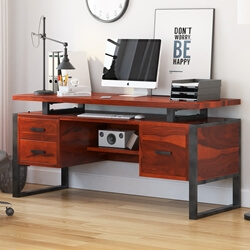 We build desks with Indian Rosewood, Mango wood, Acacia, and carefully selected reclaimed wood. 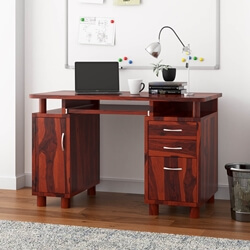 Desks come in all shapes and sizes and we offer an exciting variety. 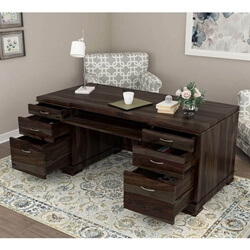 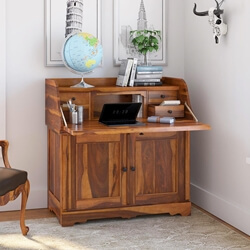 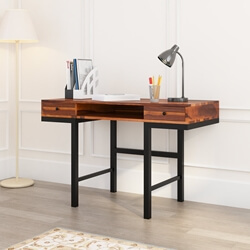 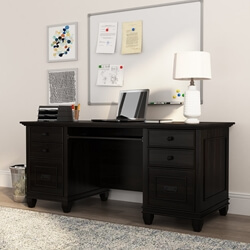 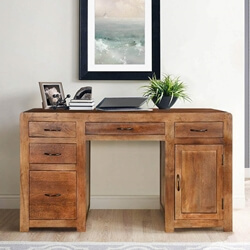 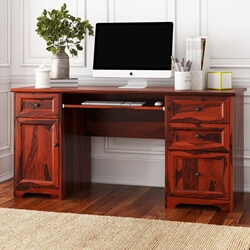 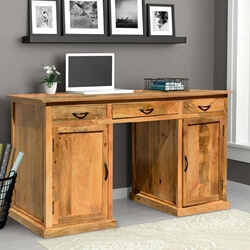 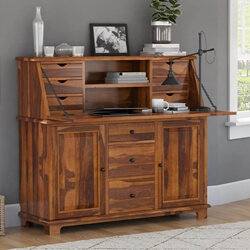 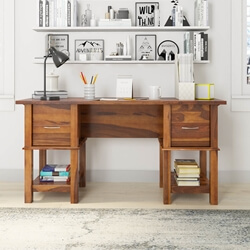 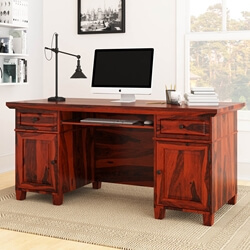 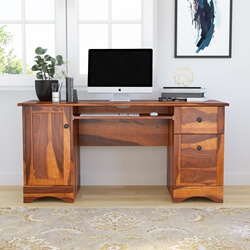 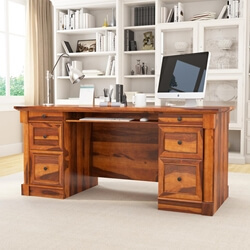 We offer secretary desks with a slanted closed top, workstations with large tops and plenty of storage, computer desks, and classic desks with rich details. 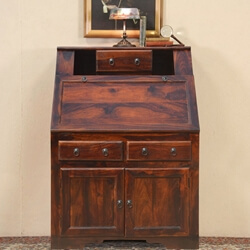 Our modern lines include Dallas Ranch, Industrial, and Steam Punk. 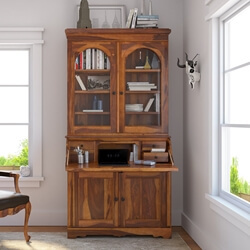 Look for classic styles under Lincoln Study, Shaker, Gothic, Philadelphia, and Portland tags. 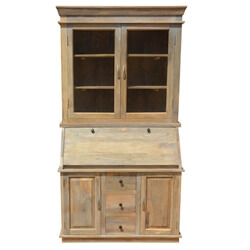 Look for special features like computer shelves, wheels, hutches, and cabinet sections. 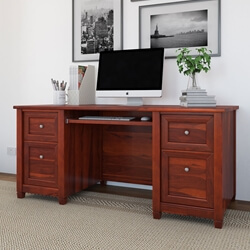 We offer styles with desks tops that are flush to frame and traditional styles that extend beyond the frame. 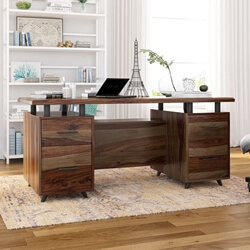 Many dynamic desks blend into the living room decor, others work in the study, home office, or commercial spaces. 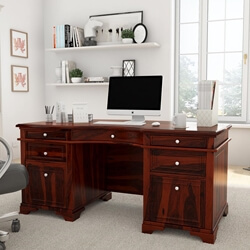 If you need a different shade or alteration, please let us know. 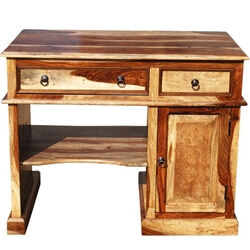 We offer custom services on many pieces. 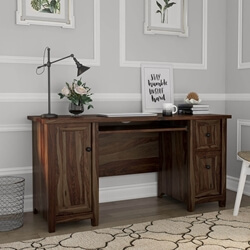 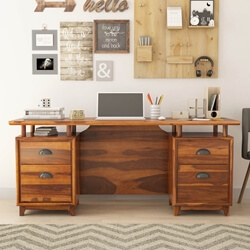 Isn’t it time to order your perfect desk?